Natalie Baszile has a master’s degree in Afro-American Studies from the University of California, Los Angeles, and an MFA from the Warren Wilson Program for Writers where she was a Holden Minority Scholar. Queen Sugar has been made into a dramatic television series, produced for OWN by Warner Horizon Television. Baszile lives in San Francisco with her family. "In her heartfelt and beautiful debut novel, Natalie Baszile tells a tale of the South that is as deeply rooted in time and place as it is universal. How do we make sense of family? Loss? The legacies passed down to us? These are the questions that Charley, a young widowed mother, grapples with, as she tries to save the sugarcane plantation that is her inheritance and which, unbeknownst to her, holds the answers to both her past and her future." "Natalie Baszile debuts with an irresistible tale of family, community, personal obligation, and personal reinvention. The world is full of things that keep you down and things that lift you up—Queen Sugar is about both and in approximately equal measure. Smart and heart-felt and highly recommended." "Queen Sugar is a gorgeous, moving story about what grounds us as brothers and sisters, as mothers and daughters, and all the ways we fight to save each other. Natalie Baszile’s characters put brave roots into inhospitable ground, looking for a place, a person, a community to call home. I alternately laughed and wept as they failed each other, forgave each other, lost each other, found themselves. It’s a wise, strong book, and I loved it. You will, too." "After turning the last page of Queen Sugar, I already miss the gutsy, contemporary African American woman who ditches California and migrates to Louisiana to run her inherited cane farm. Natalie Baszile is a fresh, new voice that resists all Southern stereotypes, and delivers an authentic knock-out read." 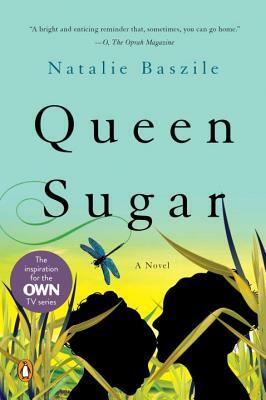 "Queen Sugar is a page-turning, heart-breaking novel of the new south, where the past is never truly past, but the future is a hot, bright promise. This is a story of family and the healing power of our connections—to each other, and to the rich land beneath our feet." "Queen Sugar is an accomplished, confident narrative that announces the arrival of a writer to watch."